Easily the strongest opposition so far this season in the form of FC Barcelona will visit the Mestalla on Saturday. A team on mad form and a front three that can't stop scoring. Their results speak for themselves. Let's just say things could get painful for us very quickly this game. Ideally, you would not want to face the strongest opposition in your weakest moment but that's what's facing Valencia CF now and there's no running from it. Coming off the back of a Sevilla game where the team could not get a single shot on target and facing various suspensions and injuries does not help the case. On top of that with the resignation of Nuno, interim coach Voro will take charge with Gary Neville's first game being against Lyon. He did decently well in his first game managing a 3-1 win over Barakaldo after falling 0-1 behind early in the game. His opponent this time, however sits at the top of the league and doesn't look like budging. Now, the previous paragraph might sound pessimistic but I feel those are the facts. There are other facts though that must be presented. We've conceded the second least number of goals in the league after Atletico and the team in front of us is not unbeatable. Celta Vigo proved that beating them convincingly 4-1. You can argue that the team had just lost Messi and haven't adapted yet but with the quality squads these top teams have it really isn't too much of an excuse. Add to that, we beat the very team that beat them, or at least a weaker version of that team, 5-1. At that time, everyone thought Celta was unbeatable based on their form and they were convincingly proven wrong. I'm not going to say that we will win this game but I'm also not going to say that we can't. It really depends which Valencia CF show up. The Valencia CF that's willing to change and prove people wrong that we saw against Celta or the one void of confidence, organization and belief that we saw last week. This game, I feel comes down to our defense. We lost Mustafi to injury and Cancelo to suspension. Voro used Orban last game but whether he will play this game is yet to be seen. Now, this is the important part. Abdennour has to turn up on Saturday. We absolutely need him. Especially with Vezo and Santos being really shaky at times. Gaya has served the left flank well and we know we can count on him. As for the right side, with Cancelo suspended. We have to turn to Barragan, whom I hope can play more responsibly than Cancelo. The other big loss is Fuego to suspension. We need an anchor in midfield but now we have to rely on Perez or Danilo to try to fulfill that role. The return of Andre Gomes should add some much needed flair and creativity to our midfield. Hopefully, he and Parejo can deliver because on their best, we play our best going forward. Last time we beat Barcelona, Feghouli and Parejo took charge and were at peak performance. Hopefully the same two show up on Saturday. Probable Lineup: Ryan, Diallo, Abdennour, Santos, Gaya, Danilo, Perez, Parejo, De Paul, Paco, Bakkali. Prediction: It's really difficult cause we don't know what to expect from Voro. 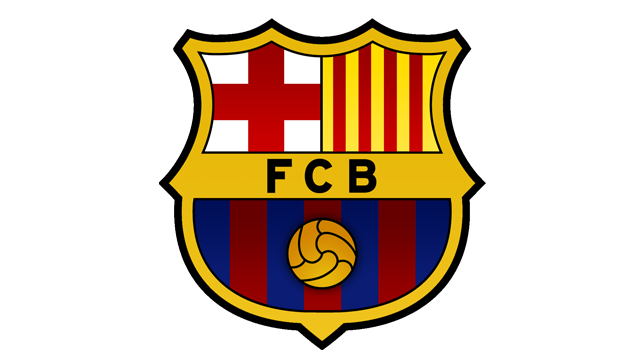 I'm going to be optimistic and say Valencia CF 1-1 FC Barcelona.